The Denver Broncos wide receiver corps have received a lot of attention lately in training camp. With returning veterans Emmanuel Sanders shining, Demaryius Thomas building chemistry with starting quarterback Case Keenum and rookie Courtland Sutton turning heads, the Broncos receivers may be poised for a strong 2018 campaign. Going into 2018, Pro Football Focus ranked the Broncos wide receiver corps at No. 15 in the NFL. PFF stated the veterans are seeing a dip in their effectiveness and aren’t anywhere near their dynamic state. Particularly in Thomas, who averaged just under 15 broken tackles per year from 2012-2015. That number has dipped to only 7.5 over the last two seasons. Interesting stuff. 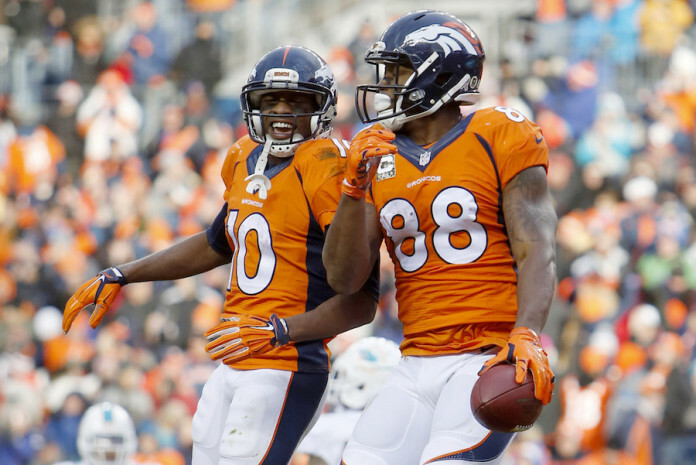 @PFF ranks the #Denver #Broncos WR corps No. 15th in the #NFL going into 2018. Case Keenum's previous wide receivers? #Minnesota is ranked No. 1. The Broncos certainly have a strong potential to be much improved at the receiver position statistically, simply by the upgrade of Case Keenum at quarterback. Better arm throwing the football to the receivers, should better the receivers in time. But by how much? 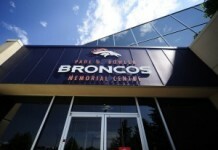 Broncos Blitz podcast host Ronnie Kohrt at Mile High Sports Radio discusses in his latest podcast. 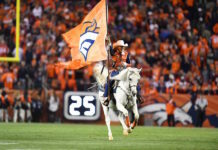 You can follow Ronnie Kohrt on Twitter for more news regarding the Broncos by clicking here and catch up on latest conversations about the Broncos, including what he had to say about Sutton’s effectiveness in the red zone, Hamilton’s effectiveness between the 20’s and more, or listen to the podcast below.